Using specialist HI-POD camera equipment, FilmMyMatch captures the excitement of live sporting events and helps coaches at all levels to improve performance through professional filming and analysis. 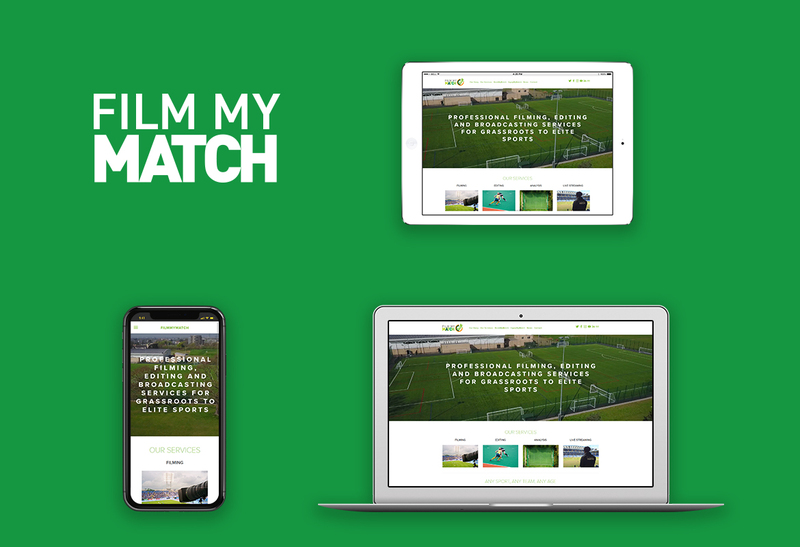 To provide FilmMyMatch with a mobile friendly website that they could fully update and edit themselves as well as providing a reliable cost effective platform for them to stream and control access to their large archive of sporting match footage. WebPraxis used the Squarespace platform to build the FilmMymatch website, whilst utilising the Video hosting platform Sprout. FilmMyMatch can now control access to all of their video footage, allowing clients to login and stream and download purchased games, as well as controlling how their videos are embedded on other websites. Most importantly they also have in depth analytics on how their content is shared and viewed across the web. We have now worked with Webpraxis to design and build three separate website solutions for both Navitas Sports and FilmMyMatch over the last five years. Over this period, they have consistently demonstrated their knowledge and expertise of emerging features and functionality which has enabled us to keep our web presence current and fit for purpose across both businesses. I would not hesitate to recommend Webpraxis to anyone looking to build, or refresh, a credible online presence.